Last week, a spokesperson from Mars Confectionery was warning that the price of chocolate in the UK would rise in the near future unless a favourable Brexit trade agreement was made. The reason for this being that the company have invested in the past in factories on the continent and Mars is not the only company to do this, the US-owned Cadbury business and Nestle’s also use Continental factories to make a great deal of confectionery that is for sale in the UK. Kraft closed the Cadbury factory in Keynsham soon after taking over and many of the popular Cadbury chocolates and drinks are now imported from the continent. In addition, many chocolate products available in the UK boast about the fact that they are made using Belgian chocolate. Fine, but is it any good? There is a lot of very fine confectionery available in Belgium, but in order to have Belgian chocolate featuring on so many of our sweet products available here in the UK, it has to be made in industrial quantities and so it simply can’t be as good as some fine chocolates: but the marketing people have done a great job in making people believe that Belgian factories make the best chocolate! So, with Brexit threatening harsher trade deals for the UK and the pound weakening against foreign currencies such as the Euro, is the price of our chocolate really going to go up? Well, yes and no! YES, if you buy chocolate produced on the Continent, where companies reporting their profits in Euros and paying their staff in Euros want more and more pounds, then yes, especially if the UK cannot negotiate a favourable trade deal. But NO if you buy chocolate and chocolate products that are made right here in the UK! There are still a few British companies that have the skills to buy their own cocoa and make fabulous chocolates and chocolate drinks. So, don’t listen to the corporate doom-mongers! Don’t worry about Brexit trade negotiations not protecting chocolate imports! 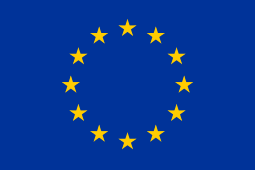 Instead, go out and find some of the great chocolate producers here in the UK and don’t worry about the Euro-rate! 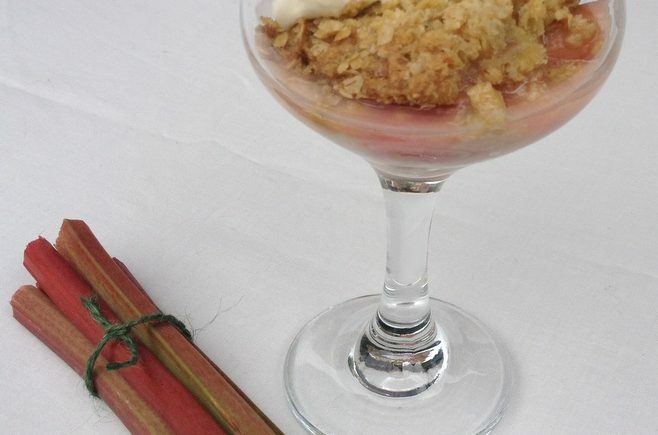 Forced rhubarb from the Yorkshire triangle, is available in shops from January. We have lots of rhubarb in the garden in late spring. 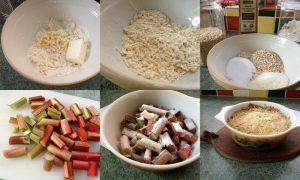 This recipe can be made with normal crop Rhubarb, but as forced Rhubarb is sweeter, you will need to sprinkle a bit more sugar over the rhubarb. You will need a deep pie dish, greased. In a large mixing bowl, rub the butter into the flour until it resembles breadcrumbs. Stir in the White Couverture Powder, 50g sugar, oats and salt. Chop the rhubarb into inch long pieces. Place in the pie dish and sprinkle over the tablespoon of caster sugar. Spread the crumble mixture over the rhubarb. Bake in the oven at 190°C (170°C for fan ovens) GM5 for 25-30 minutes until golden. Remove from the oven and allow to rest for 10 minutes before serving, otherwise the fruit can be too hot to eat. 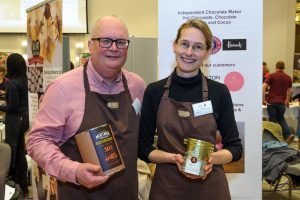 We enjoyed talking Chocolate all day at the Local Producer Show 2017 in Southhampton in January. 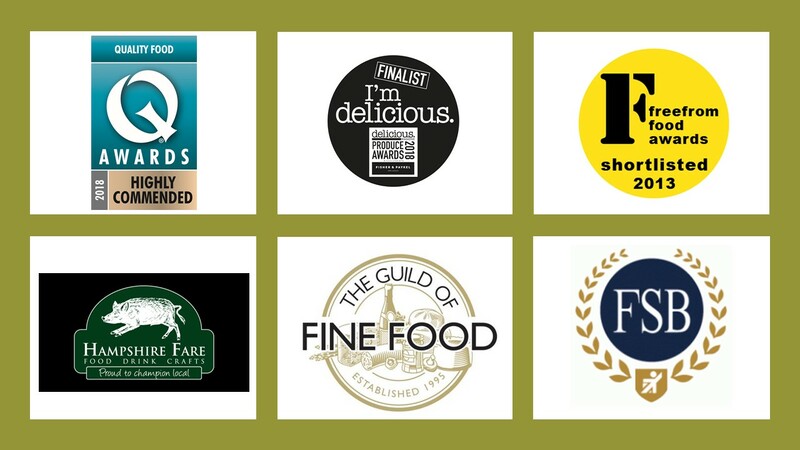 Our thanks the organisers Business South and Hampshire Fare.